The dog days of summer have arrived, and for many gardeners it is all about maintenance. The bugs are always bad at this time of year, and the damage they do is very apparent in the damage we see to the plant material we are shepherding through the long, dry days of August. The results of the time and effort you put in during the spring become more crucial to the overall health and viability of your plants now. If you are discouraged with the gardening results you are seeing now, use this information as a learning curve to achieve better results for next year. Many avid gardeners keep a garden diary from year to year. A calendar makes a great diary. Add the daily high and low temperatures, weather conditions, and what is being done when. Record when perennials bloom, harvesting begins, successes and failures. Pictures are nice. It's never too early or late to start a gardening diary. In December and January, when it is time for a long winter's rest, bring out your diary and use it as a template for planning the new seasons garden. If you have a certain plant that is not routinely available, now is the time to place an order. This is the time of year when Greenhouse Garden Center personally visits the growing fields in the Pacific Northwest, and we can be looking at what is available for you. Also, if you are thinking about having landscape work done by our in-house landscape division, this fall or next year, now is the time to make that appointment. Mark your calendars. We are excited to have our second Full Moon Madness Sale on Thursday, Aug. 18th from 8 AM to 6 PM. Please note in our Calendar of Events this month the dates have been changed for two seminars. The seminar, "Fire Prevention Landscaping" will be on Saturday, Aug. 6th at 10 AM. The seminar "When To Harvest Summer Crops and When To Plant Fall Crops" will be on Saturday, Aug. 20th at 10 AM. A new shipment of Blue and White home decor has just arrived. These pieces represent a classic, timeless style that is never out of style. Choose from our beautiful, decorative pieces to add that special touch to your home. Keep your birds out of reach of squirrels, blue jays, crows, raccoons, cats, and more! The Bird Guardian attaches easily with 4 enclosed screws. The wide flange covers squirrel and woodpecker damaged entrance holes. This will provide safe housing for bluebirds, chickadees, nuthatches, swallows, titmice, woodpeckers, and wrens. Are you looking for a summer blooming shrub that attracts butterflies and bees? 'Ruby Spice' Summersweet might be just the shrub you have been looking for. This compact beauty is perfect as a foundation plant, anchoring a flower garden or as a border. It blooms in July and August, with vivid bottlebrush-pink flowers that are wonderfully fragrant. 'Ruby Spice' Summersweet gets 4'-6' tall and 4' wide at maturity. It tolerates full shade but will handle full sun with a little late afternoon shade protection. Then, in the fall, it turns a glowing, bright yellow. Reapply Biodefend Snake Repellent With Extendex or Liquid Fence Snake Repellent at the beginning of the month. Both products are environmentally safe, easy to use, long-lasting and will not harm lawns or vegetation. Test your pond water every month through the summer with Microbe-lift 5-in-1 Test Strips, closely monitoring the alkalinity and pH. Rising temperatures cause high amounts of evaporation. Carefully add Pondcare pH Down, so as not to shock the fish in a rapid adjustment period. Fertilize water lilies every month with Jobes Organic Fertilizer Spikes. Reduce string algae by using a larger pump to move more water. 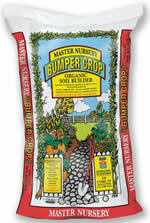 Fertilize the lawn, after the 20th, using Dr. Earth Lawn Food or Master Nursery Mastergreen Lawn Food. Fertilize the garden again, too! Do not try to spray any big weeds in dry areas at this time, because they will not absorb much herbicide. Actively growing weeds in the spring and early summer are the easiest to control.